Dallas Innovates’ mix of business, culture, and technology in Dallas-Fort Worth. Hubert Zajicek, CEO of Health Wildcatters, summed up the experience: a great event with, as usual, too much to see. South by dates back to 1987, and has grown in its 32 years to become a music festival, a destination to debut hot film properties, and a world-class digital and interactive tech expo. Exactly how big is it, though? HBO brought its massive “Game of Thrones” final season rollout, complete with an interactive experience and a partnership with the American Red Cross for “Bleed for the Throne” blood donations. Japan set up an embassy, and the city of Fort Worth joined Michigan, Australia, Spain, Brazil, Germany and the city of Hamburg (as well as a Danish princess!) to promote tourism and economic development. “Most wealthy countries now have a presence there, which is a bit hard to explain,” Zajicek says. 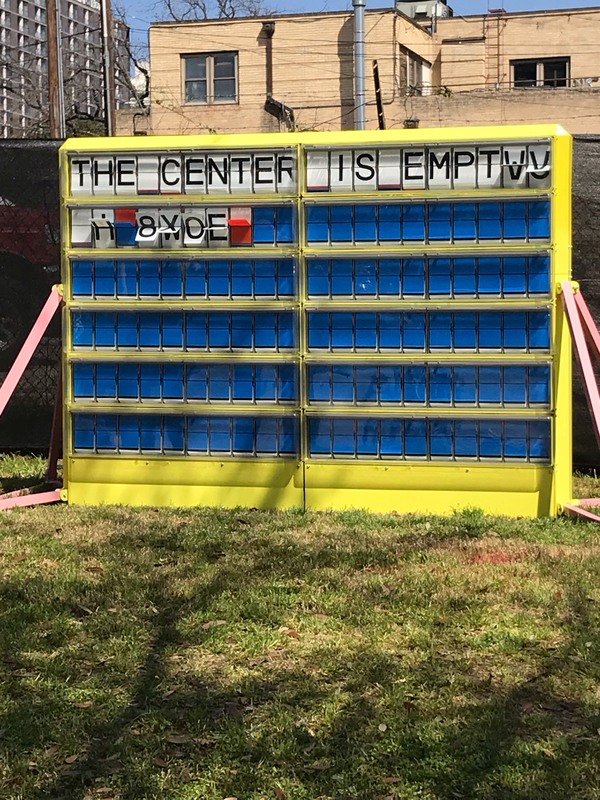 We spoke with attendees from Dallas-Forth Worth to reflect on their favorite insights from the South by Southwest 2019 experience. Surprising to Swayne was what didn’t happen. There wasn’t a lot of buzz around new apps, platforms, or technology. This year, in his opinion, was more about brands. If the future customer is about experience, then SXSW is the new Super Bowl. Ellis’ overall impression was that the conference was well-managed and presented, providing value for the time and money invested in attending the event, but also more subdued than previous years. He joined a number of voices that noted the amount of political activity and space given to speakers and keynotes, and the buzz that element created. To Ellis, SXSW is continuing to migrate toward more established companies and brands, which is making it harder for individual startups to stand out. Hilborn—who has attended a large number of SXSWs, including the last 10 consecutively—says SXSW 2019 was “quite a bit better” than last year. There was a higher concentration of good people, content, speakers, and a larger focus on hot topics like gaming and cryptocurrency. He agreed the event buzz was primarily on politics, and this year had the largest political presence he’d ever seen. Cindy Eckert, founder of The Pink Ceiling, which invests in companies founded by, or delivering products for, women. Previously Eckert sold two pharmaceutical companies, including Sprout Pharmaceuticals, which created the female Viagra. Crow saw her speak at the Inc. Founders House, and the experience stood out because of Eckert’s candor and tactical advice for navigating the direction of a business and evaluating VCs as an entrepreneur. GovCity is a new initiative launched by former Dallasite Molly Cain. 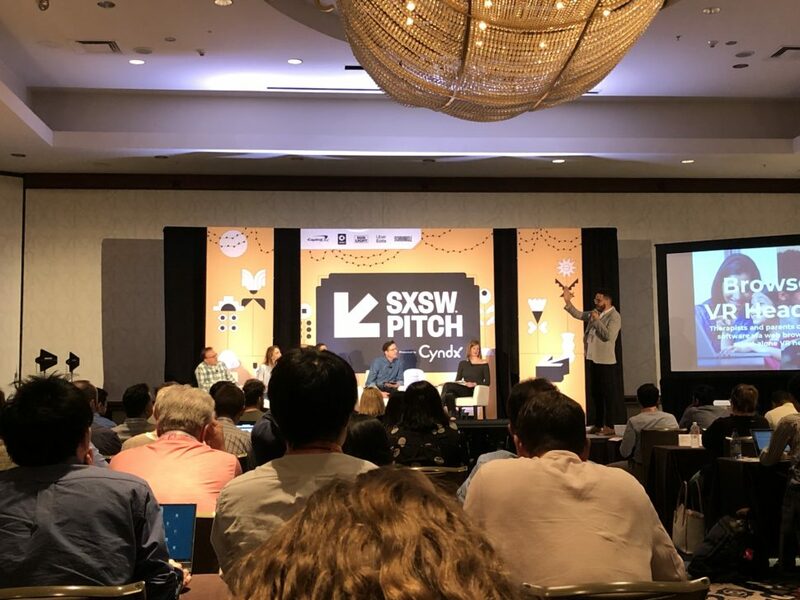 GovCity launched its first event at SXSW as part of a movement to bring government and corporate innovators out of everyday workplaces and into a 2-day cross-industry mastermind experience. Crow said she attended SXSW without a badge and still extracted a high amount of value, and she already plans to return next year because the minimal financial investment offered a huge return by meeting potential partners or clients. Other observations from Crow include “genuine safety concerns” about electric scooters, talk around space travel and tourism, AR/VR marketing activations, the Good Omens garden hosted by Amazon Prime that included dressed up dogs, and the Game of Thrones experience and its consistent five-hour line. Lotia said after a few years of attending, SXSW has become bigger, but is still one of the best places to connect that he’s ever been. Between the mix of startups and enterprise, people can truly connect with the right individuals one-on-one. The event buzz per Lotia was VR, blockchain, and AI, and he seconded Crow that a standout was Molly Cain’s new government series. TELL US What’s grabbing your attention right now? What should we be reading? Send your tips, links, and thoughts here. He added that what stood out was the growing dominance of large companies in the prime convention center area that rented out storefronts. 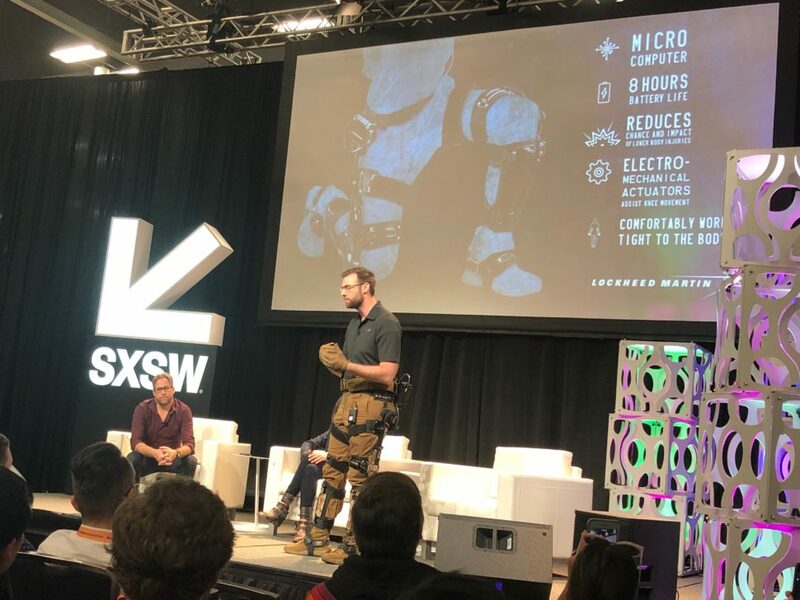 “As SXSW grows, it seems like higher-risk, higher-dollar challenges like transforming medicine or transportation or infrastructure become more viable to discuss seriously. 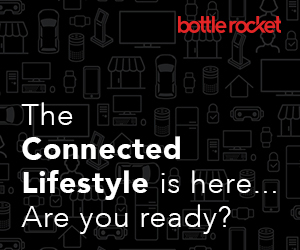 It’s not just apps anymore,” Rabinowitz says. Healthcare and film drew the most traffic according to Hatton. 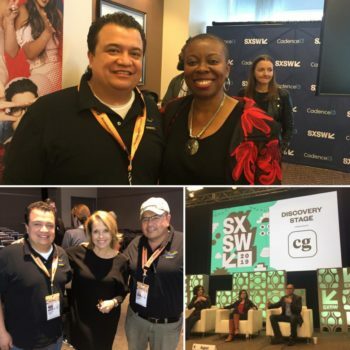 SXSW continues to be a great networking opportunity and place to absorb information from a “vast array of channels.” He added that it maintains its stance as a culture and innovation hub for entrepreneurs, investors, filmmakers, and artists. Some of the standouts for Shazad included Mark Cuban (“Shark Tank” and the Dallas Mavericks), Mike Krieger and Kevin Systrom (co-founders of Instagram), and Joseph Lubin (co-founder of Consensys). 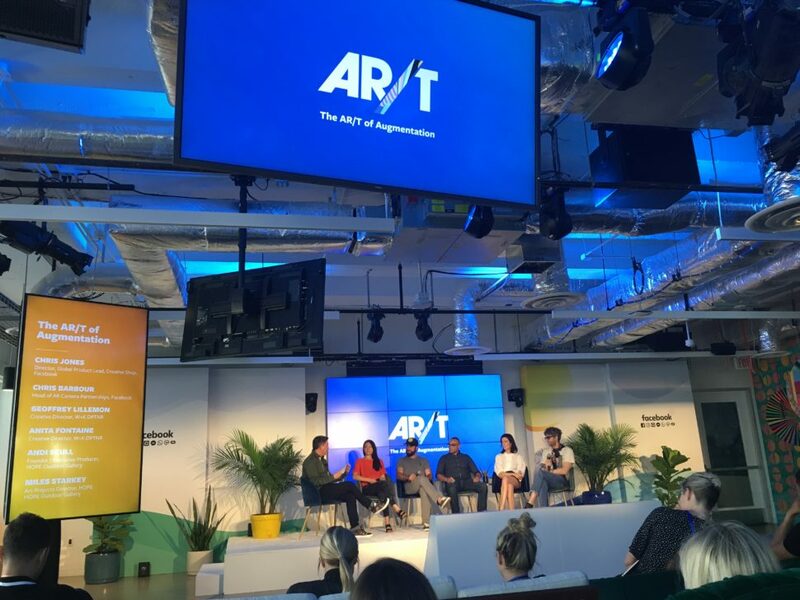 But, what really made an impression, was Arlan Hamilton’s presentation about Backstage Capital—something Bri Crow also pointed to as buzz-worthy—and its fund backing underrepresented communities in the traditional investment space. “She went through her inspiring journey and mission statement to supporting women, people of color, LGBTQ and minorities groups with the opportunities to raise capital. I found this session extremely inspirational,” Shazad says. He also emphasized the event and its audience was so diverse that any individual experience was entirely dependent on the industry and sector. OTEN Medical went to SXSW with a purpose. The company’s team had a focus on finding seed funding and setting up meetings in advance for demos of its Diabetic Foot Management Telehealth System. Sanchez said he received a lot of positive feedback, advice, and follow-up action items. He viewed the brand activations as event standouts, along with the unique after-hours and private parties. Among his dozens of notable experiences, Chambers highlighted the Falcon II showcase by Icon 3D, the unveiling of Lift Aircraft, and hanging out at Japan House with the Japanese Delegation, which included billionaires and country leaders. He also said this year’s event was different for him because of more personal investment in working the event, rather than going in and out for a specific purpose. Now, he understands what the hype is all about. Chambers spoke on a panel representing VC activity in Dallas along with Cindy Revol from Perot Jain. “SXSW fuels Austin, and Austin will continue to be named a dominant force in technology and business. If a city can figure out how to create a not just an event, but a movement that incorporates the arts, technology, and education like SXSW does, significant economic development will follow,” he says. Applications to graduate programs at Texas universities from international students have declined by 9 percent over the last two years, consistent with a national trend that some are calling “the Trump effect.” The declines align with the government crackdown on illegal immigration and efforts to make more restrictions on legal immigration, The Dallas Morning News reported. UT Austin is coming to Oak Lawn—at least its McCombs School of Business is. The university has signed a lease for 17,000 square feet of space on the first floor of the Centrum building at Oak Lawn Avenue and Cedar Springs Road as the home for its Dallas-Fort Worth Weekend MBA program, The Dallas Morning News reported. Previously, the classes were held on the UT Southwestern Medical Center campus. An increasing number of companies are beginning to offer caregiving services to employees, and companies such as Richardson-based Cariloop already have proven to be a valued help to persons seeking advice, information, or other types of assistance. The St. Louis Post-Dispatch reported on a Keller woman who used Cariloop to help her find a rehab center for her father’s surgical recovery. She said Cariloop saved her a lot of time and effort in her search. Law firms in Dallas are putting employees first with the help of the real estate market. Jo Staffelbach Heinz writes company culture and employee well-being outweigh strategy and financial position, so firms are focusing on providing healthy snacks, social spaces, fitness rooms, outdoor areas, and more. AT&T had made a pledge to put $100 million into renovations in the Discovery District. Proposed improvements include planting trees, creating a green space, implementing a water feature, and building a six-story video board larger than the one found at Globe Life Park. “This is something that requires cutting edge technology, cutting edge scale,” “Commissioner Paul Ridley told D Magazine. A food delivery service called Imperfect Produce that’s new to Dallas brings produce to your doorstep that once was destined to be thrown away. Oh, there’s nothing wrong with it, it just wasn’t perfect enough to meet grocery store standards. So, if you’re Ok with a carrot, potato, or mushrooms that aren’t “perfect,” but still perfectly edible, check out Imperfect Produce. MillerCoors is fighting back against attack ads from Bud Light that accuse the creator of Miller Light and Coors Light of of using corn syrup in production. A new “smart tap handle powered by Bud Light negativity, unveiled earlier this month at a distributors conference in Florida, lights up and offers patrons a free Coors Light every time a negative message from Bud Light is spread on social or broadcast media. Dallas Area Rapid Transit president Gary Thomas is urging Congress to better fund regional transportation projects with a comprehensive federal infrastructure bill. Thomas pointed to upcoming DART projects including a Cotton Belt commuter rail, platform extensions to two existing lines, a rail replacement, and the pending D2 alignment. Employment in Texas continues to grow. Some 17,700 jobs were added in February, and unemployment held steady at 3.8 percent, according to the Texas Workforce Commission. TWC Commissioner Representing the Public Robert D. Thomas said Texas is “one of the most attractive states in the nation” from an employment viewpoint. Sneakerheads and shoe aficionados have something to celebrate. Dallas’ Hari Mari footwear company, an until-now maker of flip flops, is stepping up their shoe game with its first line of closed-toe shoes made from materials ranging from organic hemp to treated suede and leather. A scientist from Dallas has started a Kickstarter campaign to sell his “mini” version the celebrity robot Sophia, which drew national attention for appearing on The Tonight Show Starring Jimmy Fallon, going on a date with actor Will Smith, and gaining a large Twitter following. “Little Sophia” costs $149. From events for leaders in innovation (Dallas Startup Week) to exploring digital experiences (Tech Industry Luncheon), browse our curated selection of events to plan your next week—and beyond. Quincy Preston, Alex Edwards, and Payton Potter contributed to this report. From tech bytes (Cien, Fujitsu, AuGames, Groove Jones) to spaces and places (ZIPZONE, ParkHub, Cognizant, JLL) to our weekly top 10 (Traffic-Control Signals Cut Stoplight Wait), here's your rundown on ideas and innovation in North Texas. Skip Howard loves technology that has the potential to change the world for the better. He's doing just that as the CEO and founder of Spacee, a post-mobile augmented reality startup that's revolutionizing the retail industry. From a startup founder assisting women with low sexual desire, to a cohort of business owners who have teamed up for success, to brilliant minds shaping healthcare—meet some of Dallas' female entrepreneurs. Capital One teamed up with the UT Dallas Institute for Innovation and Entrepreneurship to empower students during National Engineering Week. Danforth Advisors LLC provides integrated and scalable consulting teams ranging from controller through CFO for life sciences companies, freeing time for innovation.